Give In To Temptation is a great title for the debut album from the Brighton hailing Stone Angels (not to be confused with The Stone Angels from Devon), as that is exactly what you do, inescapably submit to its eventful rock ‘n’ roll roar. Jammed with eleven fresh sounding tracks which brew up rousing exploits from admittedly pretty recognisable sounds and inspirations the album is hefty in anthems and punchy adrenaline charged stomps, and as high on that familiarity to others as it can be at times, Give In To Temptation lets no one down when it comes to thrills and enjoyment. Stone Angels emerged in 2011 from the ever musically resourceful scene in Brighton, the experienced quartet rising from the ashes of ‘several broken’ bands. Drawing on inspirations from the classic LA rock and legendary UK rock scenes, and bands ramngimng from Alter Bridge, Black Stone Cherry, Black Spiders, AC/DC, Massive, and Rival Sons to Five Finger Death Punch, Foo Fighters, Iron Maiden, Motorhead, Slash’s Snake Pit, and King’s X, Stone Angels’ hard rock incitement has seen them become one of the UK’s most potent live propositions. Now the band is looking to awaken even broader attention with the national re-release of Give In To Temptation, a prospect you can see gathering rather potent success. The reason being songs like Misplaced Memories and Devil’s Child, they just the first two tracks on the swiftly persuasive encounter. The opener worries ears with a torrent of hungry riffs and spiky grooves meshed into a rhythmic web cast by drummer Ben Taylor and bassist Chris Wilson. There is grouchiness to the tone of the song and instant contagion on offer with the sonic enterprise of guitarists James Innes and Niall Kersey tempering the growl a touch with melodic enticement, especially the former’s precise grooves. Kersey’s vocals also carry a dusty snarl which only adds to the easily accessible and familiar but refreshing confrontation, a blend exploited enjoyably again in the slower prowl of the second song. Bands such as Black Stone Cherry and Rev Theory get hinted at though the song has a more vintage bluesy hue to it as it backs up the album’s forcibly engaging start. That sultry air and texture becomes richer in the following fiery melancholy of Last Goodbyes where keys deliciously add a psychedelic strain to the increasingly eventful and impressive croon, Stone Angels revealing more good variety to their sound and songwriting. Uniqueness is, as suggested earlier, not a dramatic quality to their sound and indeed the song but it matters little in its persuasive bellow and not at all in Can You? straight after. Again attitude and melodic flames fuel the track, but it is the bewitching sonic hook and easy swagger which grips most prominently, they and the vocal lure of Kersey backed potently by the rest of the band’s calls. At only two and a half minutes, the track is a swift, bait loaded jab and the relative shortness of most songs within Give In To Temptation does add to the rapier like feel of the album and its thick success on ears and appetite, this proven again by the not much longer body of Fantasy and swiftly after in the slightly lengthier Lines In The Sand. The album is like a heavy weight poking senses and satisfaction, this pair uppercuts of rock ‘n’ roll which has energy reeling and bodies exhausted. Both tracks unveil individual grooves which induce ears and hunger to arousal amidst greedy riffs adding enticing weight to the song’s tenacious grip. Thousand Years slips into a mellower melodic reflection within a hazy flame of emotive intensity to bring a respite of sorts for adrenaline and energy whilst Falling Down gets funky on the listener whilst unleashing another dose of predatory riffs, wicked rhythms, and spice rich, bordering on salacious, grooves across guitar and bass. The first of the pair takes longer to find the right spot but is perpetually enjoyable nonetheless whilst its successor is an immediate stomp which just has bodies swinging, an anthem no doubt igniting venues for the band and calling out to be a single. There is a darker almost sinister shade to the imposing blues rock stroll of Devil’s Grip and a lighter glaze of stoner-esque infectiousness to Fine Day, both songs rich with tendrils of sonic imagination and the healthy spices bred by some of the band’s influences. The latter is another single prospect for these ears; its Alter Bridge meets Shinedown character tantalising before Shadows Of The Black Sun is left to bring the album to a close. Again it is ripe with a familiarity which only seems to works in the song’s favour, as indeed for Give In To Temptation’s success. Future demands might ask for more distinctness to the Stone Angels sound next time around though you are pretty much sure of some stonking songs at the very least anyway, but for an introduction, Give In To Temptation is one enjoyable slab of rock ‘n’ roll you can only have a thoroughly good time with. Give In To Temptation is nationally released on Friday 4th September on CD and digitally through all stores. Fancy some good enthused melodic rock with big sounds and eager riffs then look no further than the new EP from UK rockers Lifescreen. Returning with their second EP The Lock Up Sessions, the Leeds trio give proof that rock music in the UK is vibrant, thrilling, and more than able to match their counterparts anywhere in the world. Since forming in 2007 the Yorkshire trio of vocalist and guitarist Mark Burrows, bassist and backing vocalist Chris Unwin, and drummer Andy Richards have not only been one of the leading forces in their local scene but also gradually made waves further afar with their compulsive sounds, something which the new EP should energise decidedly. Formed from the ashes of Nerve Engine the band has gigged extensively over the years and through this and their releases in the debut EP Extended Play in 2007 and their two albums Deprogramming and Connexions in 2008 and 2010 respectively, have garnered strong praise in the media and a determined following from an ever growing swarm of fans to their sounds. The bands heady mix of melodic grunge tinged rock and heavier thumping riffs and rhythms demand attention without forcing it down the throat, their easily accessible and addictive tones hard to deny. April of this year saw the release of the single ‘Opting Out’ which saw another step in the bands development and a more rounded sound which the new release takes even further to unveil a fuller and inexcusably eager and impressive quartet of songs. 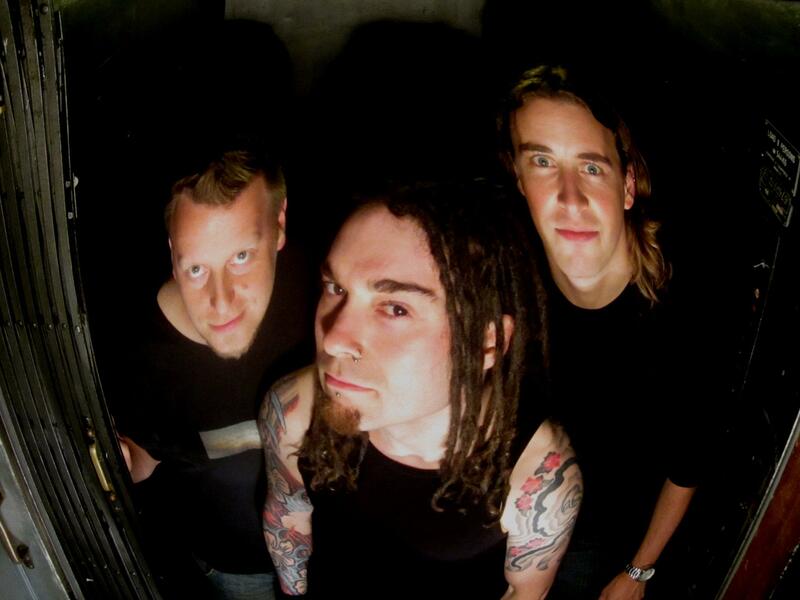 Lifescreen list their prime influences as the likes of Alice In Chains, King’s X, Helmet, and Deftones and especially with the first of those four it is apparent on many of their songs quite clearly but the band uses these to foster their own sound rather than simply borrowing elements. Opening song ‘Sparks’ is a perfect example. It carries a defined Alice In Chains feel but is given a more vibrant and uplifting energy, as strong riffs from guitar and bass alike sway in front of the ear driven by the controlled drums of Richards. Though there is a strong grunge tone it gives a QOTSA feel as well especially with the dual vocal harmonies and as a personal preference the band really feels complete when they use that rather than a single voice, no disrespect to the fine tones of Burrows but he and Unwin together feel like they are closes of the circle of the band, making the sound complete. Second song ‘Better’ comes in a similar in style to the opener but has a darker feel recalling the band Gruntruck to mind. The chunky controlled riffs against caressing melodies and smooth harmonies is a treat and though subdued in pace compared to the first track its intensity is higher and deeper. These two songs immediately prove to any newcomers that this band can write engaging but instinctively powerful songs, and deliver them with the acutest skill. The second half of the EP gets its heavier and more forceful boots on to show the other more aggressive side of Lifescreen, though they can never be accused of being light at any point. ‘Cyclic’ pulsates with choppy and incisive riffs and seams of mesmeric melodies. As the song progressives the riffs turn more waspish to infiltrate even deeper and hook the senses fully. This is the best track so far though soon to be shaded by the brilliant ‘PRNTRPNK’. This song whips up a frenzy with mischievous intent and devilish riffs to excite and thrill. The incessant grind is hypnotic, clasping tightly as the guitar of Burrows lights up the ear whilst the bass of Unwin throbs belligerently. 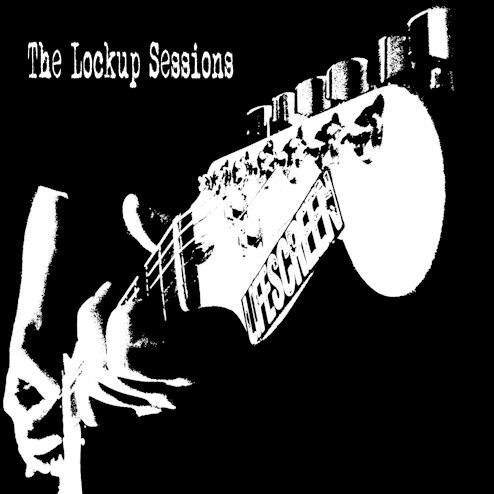 The Lock Up Sessions is an excellent release to not only ignite the senses and quicken up the pulse rate but also to firmly put a band already noted for being an extremely fine rock band up amongst the big boys, and a place well deserved. Lifescreen might still be an unknown to you but do yourselves a favour and go check out this impressive and wonderful EP, and it is a free download so no excuses. This year has seen a strong amount of outstanding albums thrilling and deeply satisfying the ear, a feast of varied and imaginative creativity from a diverse array of flavoured metal releases. One of the most impressive and stunning albums was The Ghost You Gave Me from New York based quartet 3. Expressive and inspired with pulsating veins of intense sounds and glorious melodic progressive rock/metal tracks the album is one of the year’s biggest highlights. The Ringmaster Review had the pleasure to have time with vocalist/guitarist Joey Eppard to ask him about the album and 3 themselves. 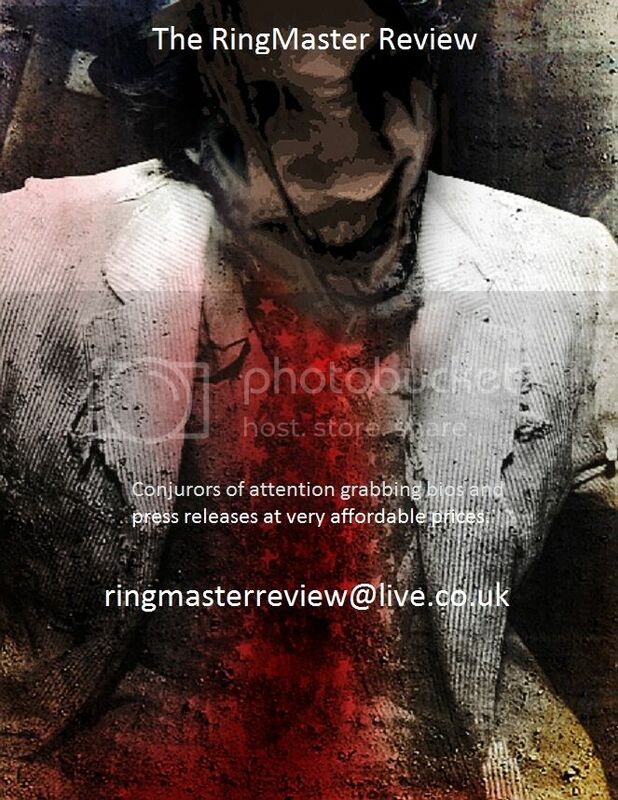 Hello and welcome to The RingMaster Review, thank you for talking time to talk to us. Would you like to introduce the band members and tell us about the origins of 3? I actually started this band as a sophomore in high-school. I wanted to start a band with no boundaries that was still song based yet experimental. I was mostly interested in doing something completely different than the death metal band I was in previous to 3. We have a long and storied history of near fame but never quite getting there. We played the main stage at Woodstock ’94 along with Metallica, Nine Inch Nails and King’s X just to name a few. We were managed by Michael Lang and were the sub-plot of a movie that was ultimately a bust. We were signed to Universal Records in ’98 but it didn’t work out. We finally started releasing albums at the turn of the century. 2004’s Wake Pig garnered the attention of Brian Slagel at Metal Blade and we’ve been there ever since. What was the trigger to make you participate in a band rather than simply being a fan and listener? I think it’s a genetic trigger, almost all the males in my family are performing musicians. I don’t remember making a conscious choice, performing music is just as natural as breathing to me. Of course I’m a big fan of a lot of different music, but the more I take in my output becomes that much more. Since starting as a band has the influences and inspirations for your sound changed or been added to in any distinct way? Our inspiration is always evolving, so we chase it and see where it goes. That’s all part of the fun and what keeps us coming back to make more records. That’s why each record is very unique and also why we’re harder to pin down stylistically than most other bands. 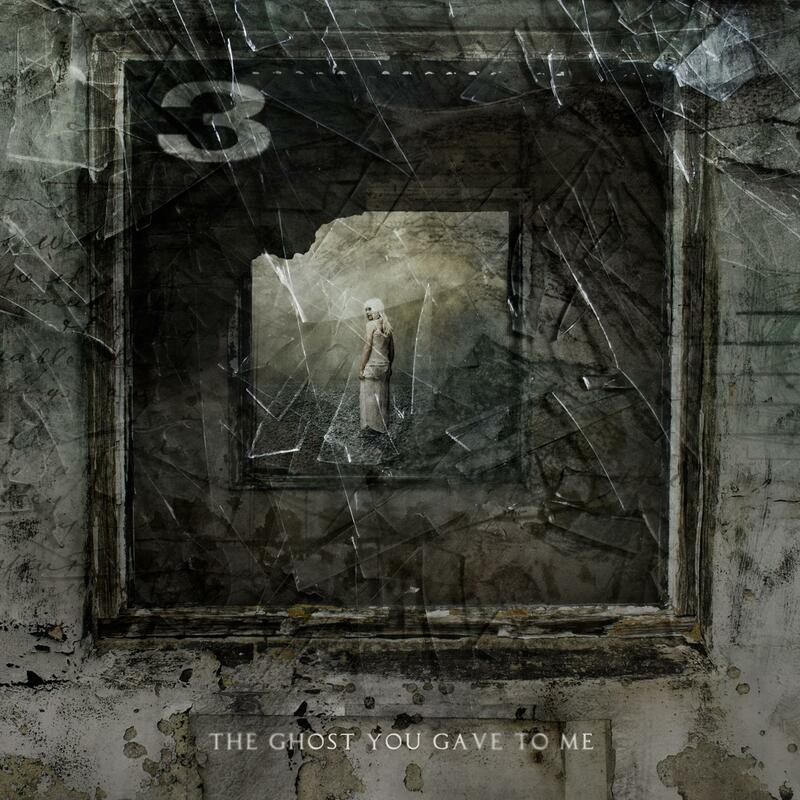 You have just released the deeply impression album The Ghost You Gave To Me, which element within it are you the most proud of? Probably the lyrics, they actually took the most time. I’m very particular about the language in our songs. The imagery has to really flow out of the soundscape. This is your sixth album, how has the creating process of the album differed over the years from when you first venturing into studios? Well it used to be we’d write and rehearse and then go in and record. But now we write, record, and rehearse as we go because we have our own gear for recording. We can actually demo everything first and it helps to evolve the production to higher levels. When we’re really ready, we’ll go into a nice room (like Applehead) and cut some drums there. Could you tell us about the writing of the songs and the changes to them if any once recording started? Things are constantly changing because we demo songs and sometimes demos evolve into keepers, sometimes they don’t. For example Afterglow’s demo originally had mellower vocals up front, but I decided to throw more of a rock element in to the mix and add a higher octave full voice singing the first verse. Do you have a tried and tested way to write your songs? My attitude is to be open to all the possibilities of how a song can come into being. Essentially… Stay out of your own way. Sometimes its melody and lyrics first, sometimes they come last. The main thing is to really listen and let your heart tell you what to do. Has The Ghost You Gave To Me exceeded your hopes and expectations going into the studio with its impressive depth and creative energy or ended up as your envisaged all along? I’ve learned to expect the unexpected; you never know how things will turn out in the end. There are moments that exceeded expectations, and those were basically the songs that were left to be finished at the last minute vocally and lyrically. I guess I do some of my better work under pressure. Is there a particular track on the album that you feel really has all the essences of the band shining brightest? I think “Numbers” is a great example of a real balance of all our musical personalities. We each added vital elements to the music, and the end result is very exciting I think. Also “Only Child” is a great example of a song that is a journey in and of itself and shows many sides of our band. You recorded the album at Applehead Studios, what is it that this place offers that suits the band most? Applehead has a great live room for drums. My dad actually designed and built it, so that made it extra special to record there. The head engineer there is Chris Bittner, who is really great to work with. We were also really excited to have Chris and Mike Birnbaum to mix the record once we’d finished recording. With each album bringing more acclaim and support your way do you find you put more pressure upon yourselves for the next? To a certain degree. We always want to make a better record than the last. The main thing though is to make a record that reflects our passion for what we do and the spirit of musical exploration that drives us forward. 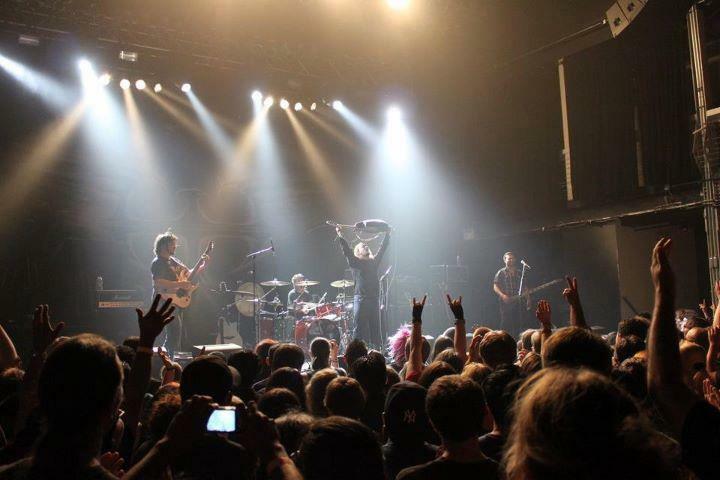 You have just started a tour with Cynic around North America, what can fans expect especially from 3 on stage? We play our hearts out no matter what. “3” live is a pretty intense experience and we win a lot of our fans on the road because of it. Sometimes seeing the music being created right there in front of you can really take it to the next level and I feel that is especially true for us. We also work hard to write sets that are entertaining and dynamic. Any plans beyond the tour for the band? There are several irons in the fire but we’ll have to wait to make any official announcements. We expect to be on the road quite a bit once the snow subsides.